What to Blog About When I’m A Newbie in the Marketing Arena? Yup we’ve pretty much all been there. Who can forget those sweet, sweet moments where you spend hours, if not days, pondering what to blog about when you have no clue as to what makes compelling or useful content? When I say endless goldmine… I mean a friggin’ endless goldmine of topics to write about. See most people tend to over complicate the subject matter of what to blog about on a daily basis when in fact, if they took the time to stop and think about what they already know, they would be very surprised at how their current knowledge base can be turned into multiple blog posts. In other words, if you’ve been studying online marketing (well you should be if you want to have any form of success)… what’s stopping you from turning what you just learned into an informative blog post for others to learn from? Think back to attraction marketing: providing value to the marketplace remember? You don’t have to be an expert to be able to write a blog post on marketing strategies. You just need to know a little bit more than the next person in order to be of value! That’s right. Just being that one, tiny step ahead of your prospect already puts you at a major advantage! Think back to the last webinar that you attended. More likely than not, you picked up on more than one useful golden nugget of information that you can turn into multiple blog posts. So I Turn What I Already Know Into A Valuable, Informative Article… What Else Can I Blog About? If you are still stuck on what to blog about, reviews are a great way to show your prospect’s that you are up to date on the latest gadgets, programs, systems and software that make marketing a more easy and a time saving activity. Trust me there are a lot of lazy people out there who would die to get their hands on something that will make their lives easier. 1) There will always be lazy people who are actively searching for useful software. 2) There will always be products created to satiate these lazy people. Stay ahead of the game and review these products and services before they explode into the marketplace and your article will be a great reference as to whether that system or software is worth buying. Not to mention if it’s an affiliate product, you can earn a good side income from your review (just don’t forget to put your affiliate link at the end of the blog post). 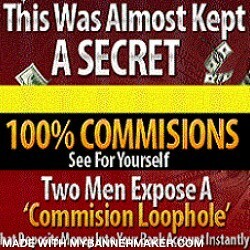 Go to amazon.com or clickbank.com and search for the newest products there. The same can be said for MLM companies. Go to mlmrankings.com or npros.com and pick a company that you would like to review, do a little research about it (don’t be a lazy bum now) and write a review on it. Target this towards the people who are looking to join that company and you will get the best results that way. 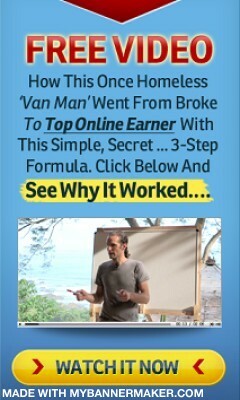 If you already have your own primary company, you can still monetize that lead by learning how to in this system here. If you find that you are still stuck on finding out what to blog about, or if you new to internet marketing and would like to learn how to leverage the internet to build your business, then click here to gain access to system that will teach you endless marketing strategies and success principles that you need to succeed. And that is how you find out what to blog about if you are new to online marketing.